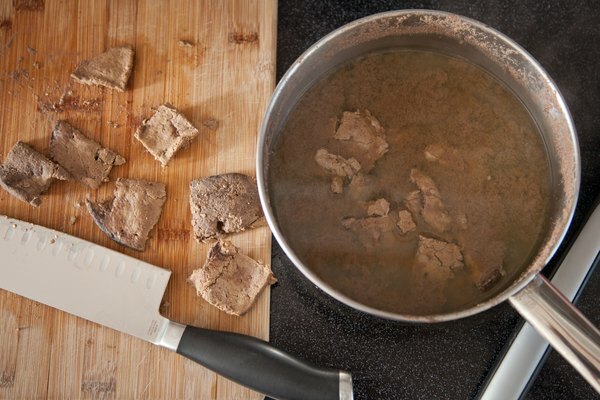 Let's be honest: Liver's kind of gross-looking, and it stinks. But your dog loves it, so there's nothing wrong with indulging him once in a while with a liver treat. Liver and pumpkin can come together to give him a snack he loves with a little extra fiber to help keep his poop firm. 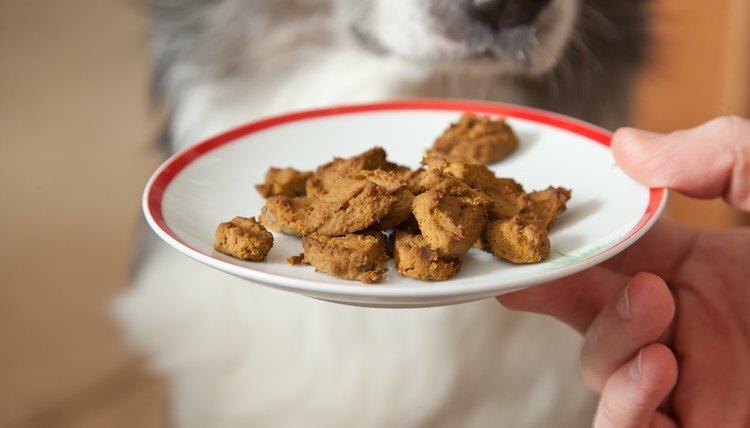 Remember: You're making him a treat, so keep these snacks as "a little something special," as organ meats shouldn't be more than 10 percent of your dog's diet. Preheat your oven to 350 degrees Fahrenheit. 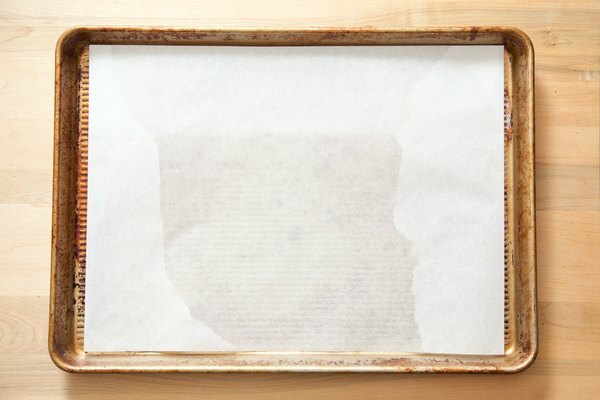 Cover a baking sheet with parchment paper. Cut the liver into 2-inch chunks. Put the liver in the saucepan, cover with water and lightly boil the liver until it's just cooked, about five minutes. 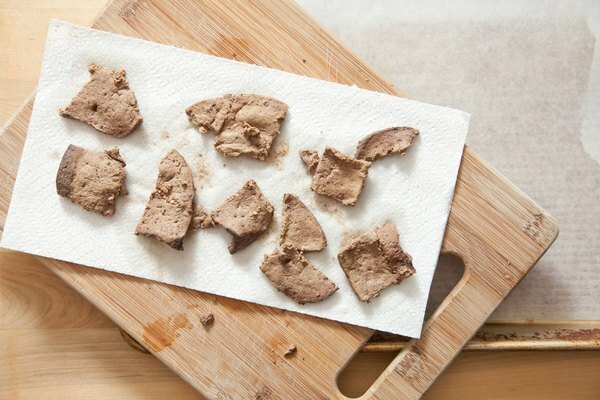 Drain and dry the liver chunks on paper towels to remove excess moisture. 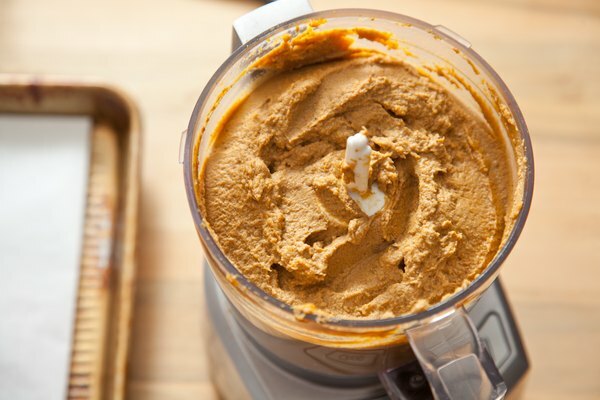 Combine the liver and canned pumpkin in a food processor until they're thoroughly mixed. Never use pumpkin-pie filling. 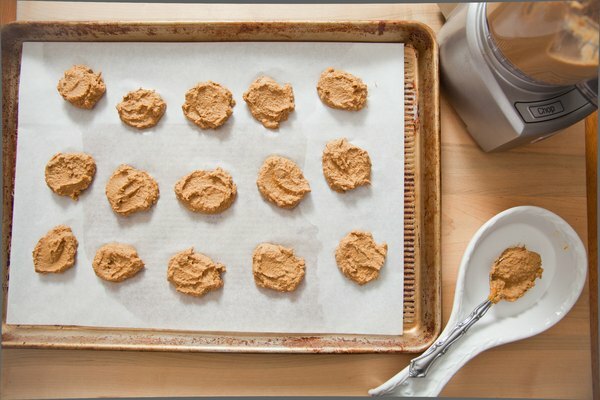 Drop tablespoons of the mixture onto the parchment-lined baking sheet; flatten the drops so the cookies are all about the same size. Bake for about 20 minutes, or until the treats are firm enough to handle. 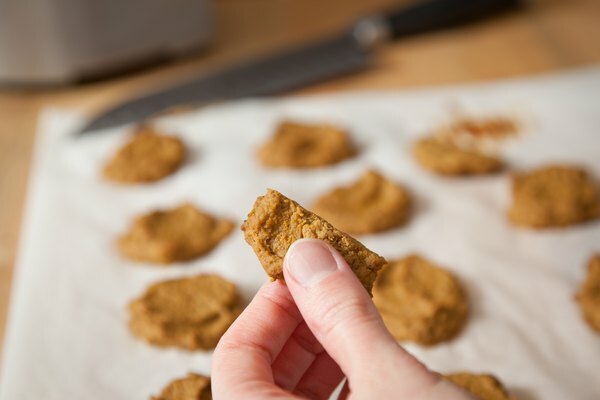 Remove the baking sheet from the oven and cut the cookies into smaller sizes, appropriate for your dog. All the dog needs is a taste, so make them small regardless of your dog's size. 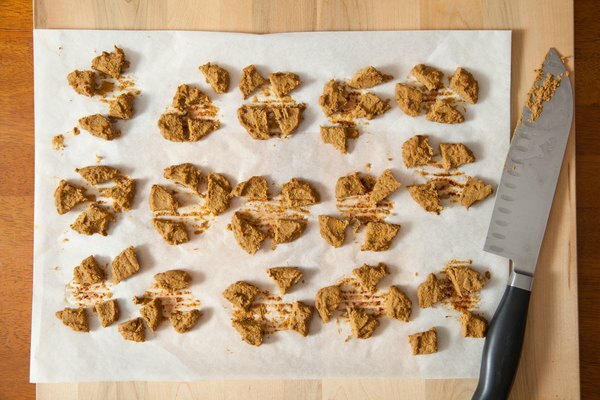 Separate the smaller pieces on the baking sheet and return the sheet to the oven to finish baking until they are dry. The time will vary according to the size of treat you've chosen. 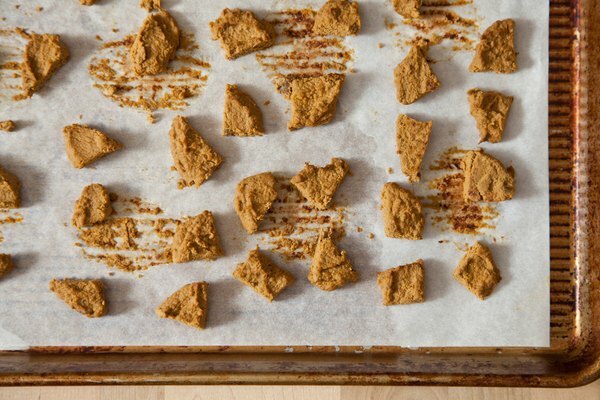 When the treats are baked dry, remove them from the oven and cool. Refrigerate or freeze them separated by layers of waxed paper. 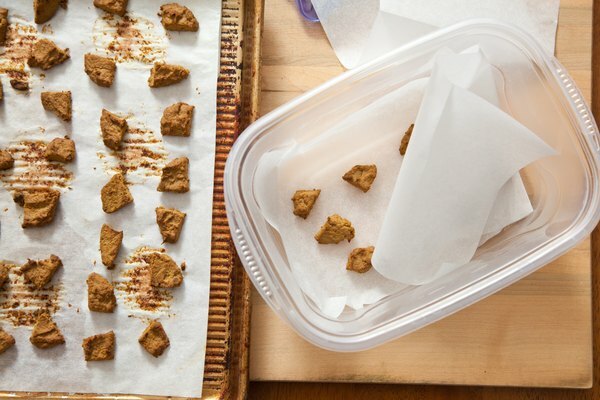 Consider using organic liver when you make liver treats for your dog. The liver's job is to filter toxins from the body, meaning it's going to have residual toxins in it. Look for liver that's free of steroids, hormones and antibiotics. Be sure to use canned pumpkin and not pumpkin pie filling, which has added sugar and spices your dog should not have. Can Hamsters Eat Pizza Crust? How Long Does the Indian Redneck Parrot Live? Is Cardboard Bad for Guinea Pigs?